Small, solid, and ready to work — our QUANTUM transmitter series of products make for the smallest bellypack we’ve seen. Totally molded out of polypropylene copolymer, it can take a beating at any temperature you work in, and has just enough room for the essential controls you need to remotely operate your equipment safely. Small, solid, and ready to work—our QUANTUM transmitter series of products make for the smallest bellypack we’ve seen. Totally molded out of polypropylene copolymer, it can take a beating at any temperature you work in, and has just enough room for the essential controls you need to remotely operate your equipment safely. 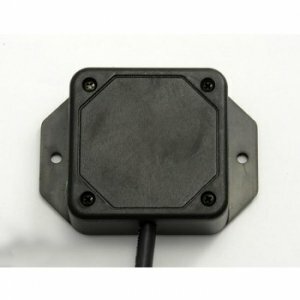 It’s the perfect size for remote control skid steer systems or other wireless track drive applications, but will work nicely for anything that needs a half-dozen or so toggle switches, a couple joysticks, or fewer. A protective lip around the control face protects the switches and joysticks from accidental operation. Given the massive amount of customization available, we don’t stock the QUANTUM – it’s designed for OEM use only, but we’re happy to help configure a track drive system for you.